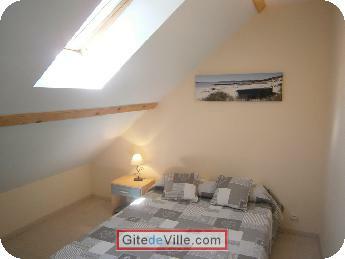 Vacation Rentals - Holiday Rental ads in the city of Sennecey-le-Grand in France for Tourism. 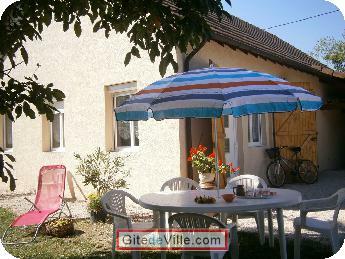 Self Catering Vacation Rental of 70 m² in Sennecey-le-Grand for 5 peoples. For business or vacation travel, lodging entirely new with every comfort (free WIFI), sleeps 5, on ground of 1500 m² enclosed garden with orchard + private parking in the yard. quiet neighborhood, shops within 2 minutes by car. 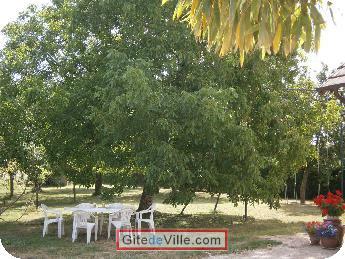 shady spots in the orchard with GARDEN FURNITURE, BARBECUE and LOUNGERS to spend pleasant moments of relaxation. Large porch with rings + 2 swings. 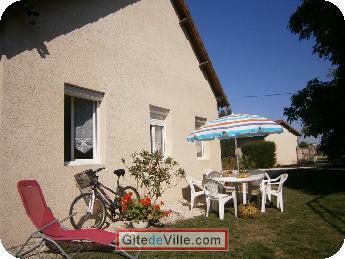 * Free use of mountain bikes, walks from the cottage in small forest roads or to the Saone. * SOCIETY LIBRARY GAMES + + tourist literature. * Baby travel cot provided on request. - A large living room very bright with large screen TV / TNT / WIFI, sofa + kitchen fully equipped (dishwasher, microwave, fridge / freezer, washing machine ...). - A first bedroom with 1 bed 140 for 2 people. 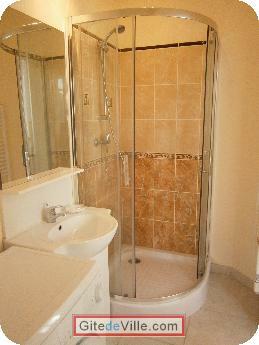 - A second bedroom with 1 bed 140 for 2 people. 90 + 1 bed for 1 person. 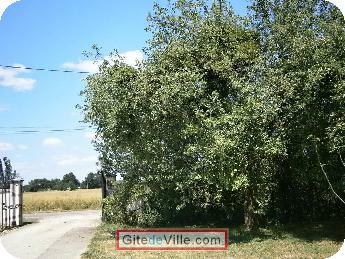 Access SENNECEY cottage LE GRAND (in Saône et Loire): 15 minutes drive from CHALON-SUR-SAONE, 8 minutes from Tournus (motorway exits A6 Chalon Sud and Tournus), 30 minutes from Macon and BEAUNE, 1 hour from Lyon, at 3h1 / 2 and 2 hours from PARIS SWITZERLAND. - Declining prices from 3 weeks rental. 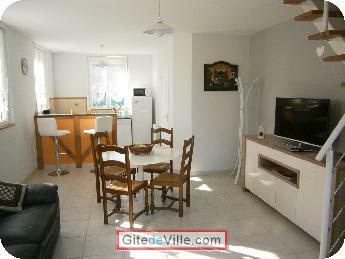 - Possibility to rent the weekend except school holidays. - THE ROAD OF WINES OF BURGUNDY, the Hospices de Beaune and Beaune, gastronomic capital of Burgundy. - The CLIMATE OF BURGUNDY, vineyards listed as World Heritage by UNESCO. - The GREEN WAY, BLUE ROUTE along the Saône bike, rollerblade and walk. 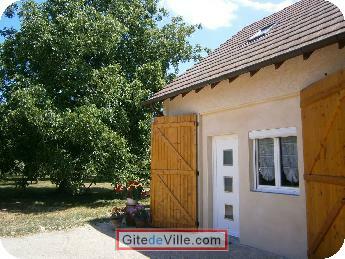 - Lakes LAIVES 8 minutes from the house (beach, paddle boats, games, picnic areas ...) + fishing lake. 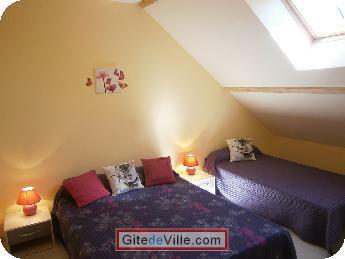 - TOURNUS, city of art and history: abbey, ancient streets, exhibitions. - Cluny: Abbey National Stud, horse shows, medieval city. - The BRANCION of Medieval site on its rocky outcrop. - CHALON-SUR-SAONE: his old neighborhood, turrets, numerous restaurants. Golf, bowling, indoor Olympic pool, wave pool, water slides, games, green spaces, jacuzzi, sauna, hammam. Its river port. - SENNECEY-LE-GRAND: Outdoor pool, games, green spaces. - CUISERY, the Book Village. - LOUHANS and Bresse poultry market. - The Grand Site of ROCK SOLUTRE: ballads, prehistoric museum, botanical garden, wine tasting / sale POUILLY VERGISSON. - Walks on boats along the Saône and SEILLE. Last Ads update : 02/14/2019. 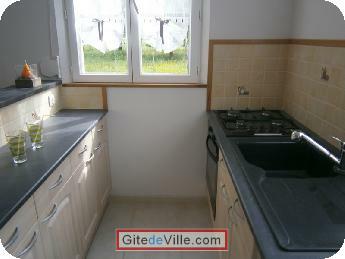 Owner of an urban accomodation or B&B to rent in Sennecey-le-Grand ?